Below is the list of proposed padding trips from October to December. The actual river may change due to weather and river levels, but we hope to have alternating easy and harder trips throughout the season. There may also be additional trips which will be advertised. 1/ Monday A very short email will be sent out Monday to all club members advertising the proposed trip and it’s difficulty for the following weekend. It will also ask for volunteers to lead and help provide safety cover for the trip by Wednesday. 2/ Thursday An email confirming details (river, meeting place, times etc) to be sent by noon Thursday to all members. 4/ Saturday A confirmation email / text, including who is meeting where, will only be sent to those going on Saturday. 5/ If you need to cancel please text 07702593288. Text is best it will get through. Torridge – introductory paddles from Bideford steps on the Torridge estuary, using the tide (grade 1). Torridge – descents from Weare Giffard etc, (grade 1) (needs a high spring tide). Torridge – New Bridge to Puffing Billy (grade 1). Taw – upstream from Barnstaple, using the tide flow and ebb to ‘go with the flow’ (grade 1). Taw from Umberleigh down to tidal section at New Bridge (grade 1). Torridge – Beaford or Sheepwash (grade 1). Taw – Kings Nympton to Umberleigh (grade 1 to 2). Exe – Bolham to Tiverton (grade 1 to 2). Lower Exe – Four Pines into Exeter (grade 1 to 2). Lower Dart, – River Dart Country Park to Buckfastleigh (grade 1 to 2). 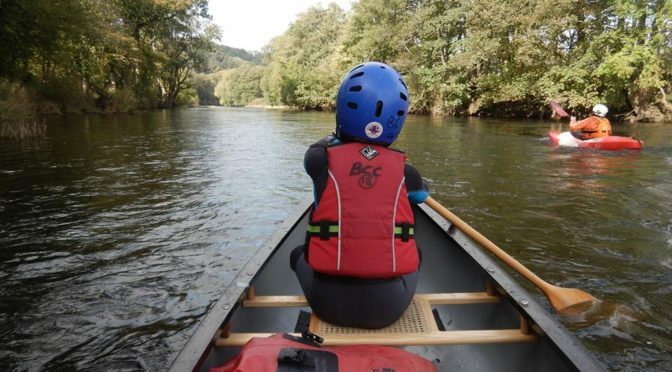 Tamar – Horsebridge to Gunnislake (grade 1 to 2). Barle – Tarr Steps to Dulverton (grade 2) (L0.6, M0.9, H1.4, best 0.7+). Plym – Shaugh Prior (grade 2 to 3+). West Dart (grade 3) (level must be 0.9+ to run, 1.2 is nice).